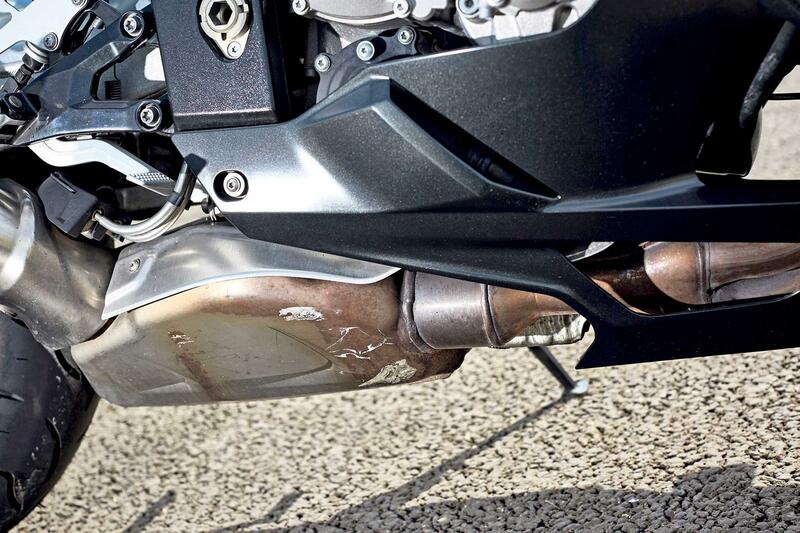 Ground-breaking superbike is still right up there. 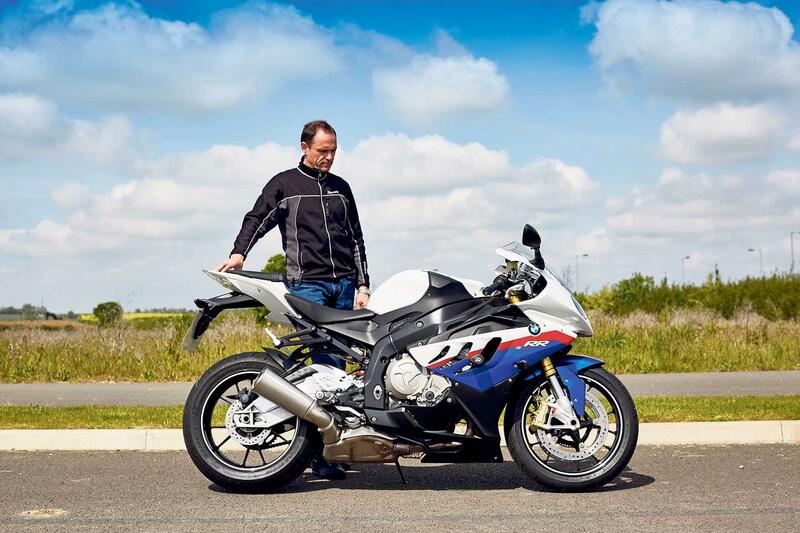 We take a look back at the 2010-2011 BMW S1000RR with thanks to the current issue of What Bike? magazine, available to buy now. The good news, if you’re after a secondhand S1000RR, like this mint condition original with 9645 miles on the clock, is that it hasn’t really changed that much. In 2012 it got a bit more midrange, plusher suspension and quicker steering and in 2015 BMW polished a few more rough edges and added extra electronic rider aids into the mix (such as electronic suspension, air bleed and an autoblipper), but it’s fundamentally the same bike. If we entered this six-year-old bike into a current superbike group test it would still beat the Blade, GSX-R1000 and even the new ZX- 10R. 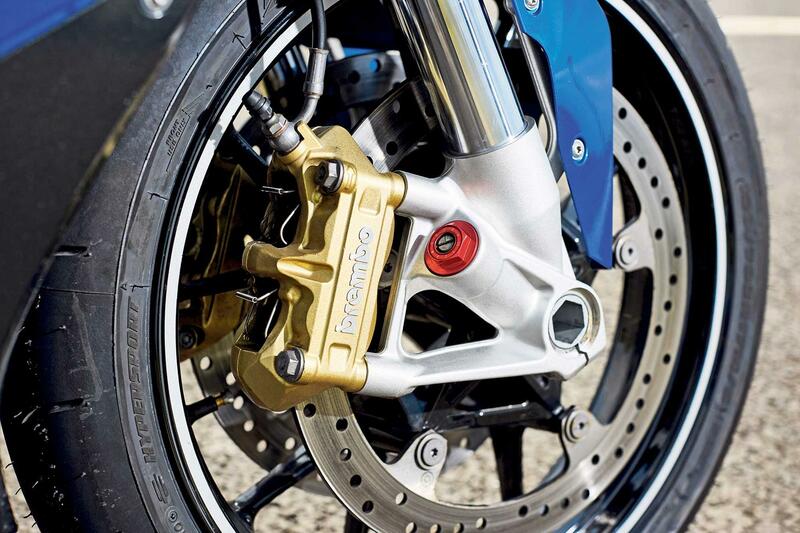 Only the new R1 and 1299 Panigale have moved the game on and that’s down to their latest-generation electronics controlled by six-axis IMUs. This unmolested bike bursts into life with that now distinctive mechanical clatter and settles into a smooth tickover. Blip the throttle and the needle flies across the tacho with the urgency of a race engine. 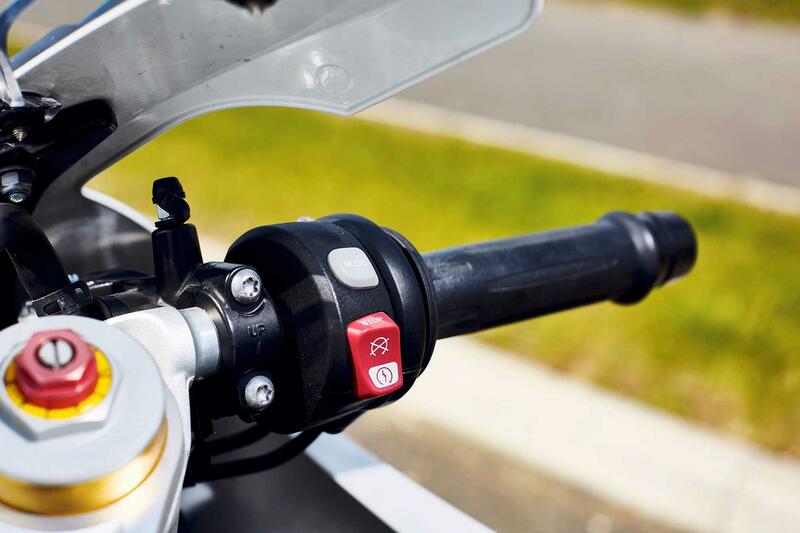 The BMW might deliver searing acceleration, slicing through its smooth six- speed box, but at normal speeds there’s lots of grunt and the ride-by-wire throttle is smooth and accurate. 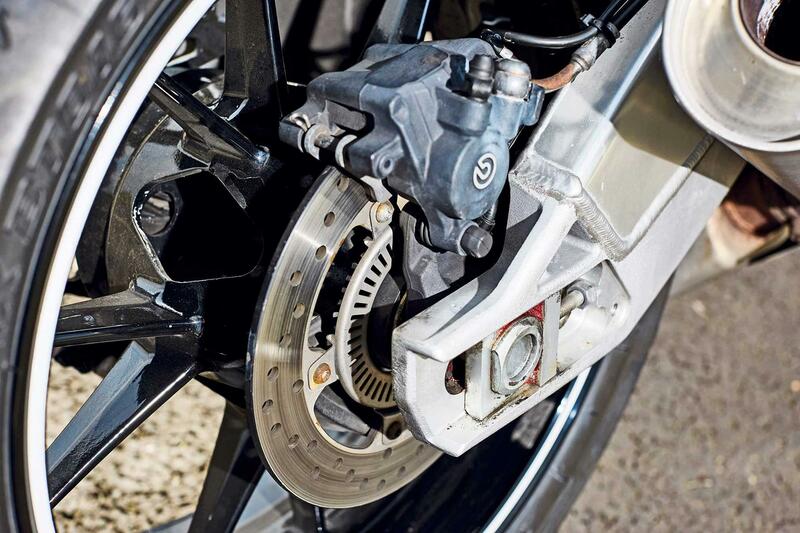 Handling remains sharp, brakes are still the best in the business and the electronic rider aids, including a quickshifter, ABS, traction and wheelie control work as efficiently as they did when they wowed the world in 2010. 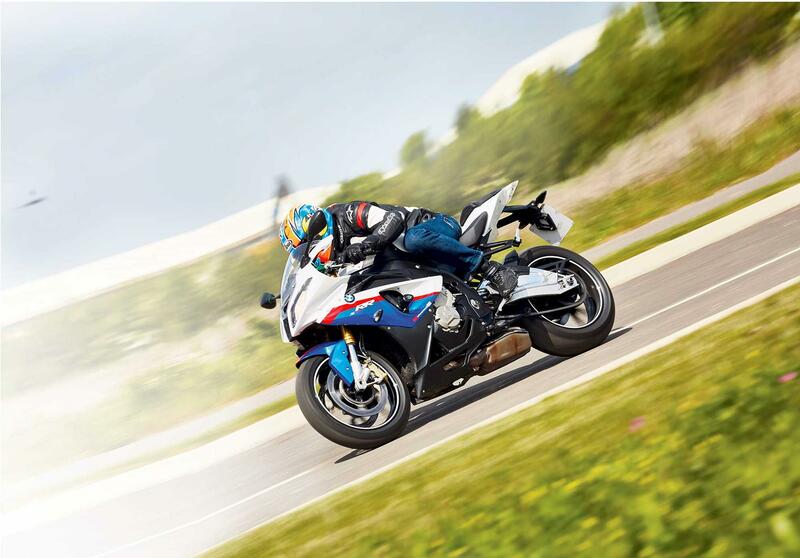 Unlike many ‘knees around your ears’ superbikes, the S1000RR has a spacious riding position and a comfy seat – all this for less than nine grand. Lots of S1000RRs have been raced. The obvious signs are things like drilled sump plugs, but suspension can also be a giveaway. A bike with upgraded fork internals (which are hard to return back to standard) and a standard rear shock (which is easy), smacks of an ex-racer. This BMW has had an easy, well-cared-for life and the dash isn’t displaying any service lights or fault codes. Check for camchain rattle, too. Whoever bought this bike new ticked every option box. It’s finished in the red/white/blue ‘motorsport’ colours and comes with the full package of electronic rider aids and rider modes (including the dealer-activated ‘Slick’ mode). The one thing missing from the toys cupboard is the heated grips. It also new Bridgestone BT-016 tyres, but if this bike were mine I’d fit something more in keeping with the performance, like Metzeler Racetecs. 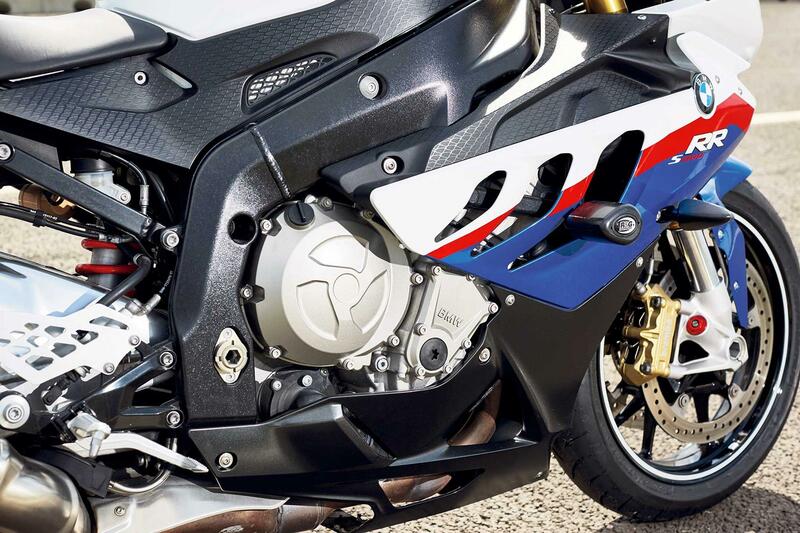 And if you're looking for a BMW S1000RR or any other two-wheeled companion, why not visit MCN Bikes For Sale website or use MCN's Bikes For Sale App to search for it! What Bike? is the ultimate motorcycle buyers' guide and essential reading for anyone looking to find their perfect new or used bike.